Many previous clients agree that Amber is a great new years eve cruise option. Its expansive and open front deck has been specifically commended. For this reason, and high demand of the yacht, we have included Amber to our New Years Eve Cruises fleet! You can now enjoy the cool breeze and splash from the ocean from the spacious and comfortable yacht as you usher in the New Year. Come aboard Amber and get a feel of why this yacht is very popular! You will board the vessel from the rear deck. The low swimming platform is a great spot for sitting and taking in all the actions and activities that will be taking place at the Harbour during your Sydney New Years Eve Cruise. Dip your feet inside the water, with a glass of your favourite champagne in hand and some nice music in the background as you watch the crowds on the Harbour. Inside, the main deck has large windows that offer panoramic views of the Harbour. 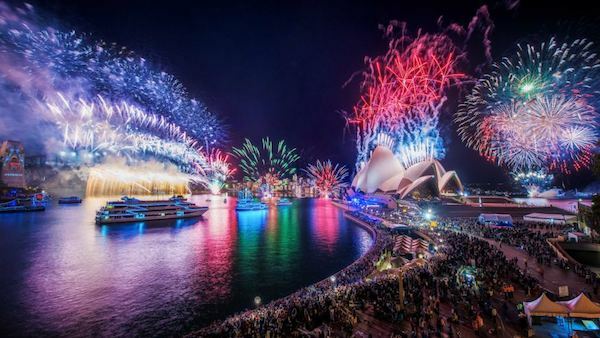 Guests that would love to stay indoors will, thus, still get front row views of the local and international performances taking place on the Harbour during your Sydney New Years Eve Cruise. The rear and front decks are conveniently connected through walk around decks. Guests can move from one side of the yacht to the other easily! The expansive front deck offers a great spot for watching the famous Sydney fireworks as the clock strikes midnight. You can take as many pictures and videos of the fireworks as you want! Our New Years Eve Cruises on Amber allow for BYO food and drinks. You will be provided with an eskie to ensure that your drinks are served at the right temperature regardless of where you are on the yacht! New Years Eve Cruises on Amber are great for a group of 12 people looking to have fun and usher in the New Year together. 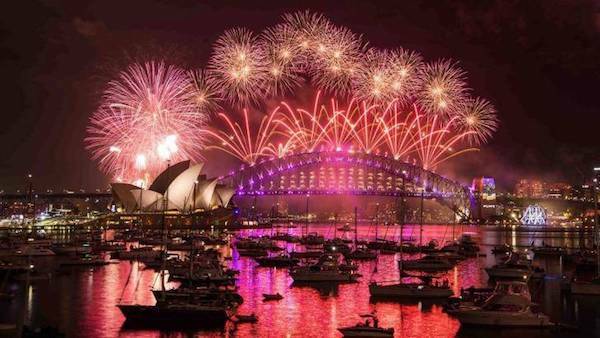 Contact us today and book Amber for your Sydney New Years Eve Cruise. You will be pleased to know that our rates are very competitive!